Dyeing Easter Eggs is a tradition for many families. Eggs, a symbol of fertility and life, are also a key part of the symbolism related to Christ’s rising after his crucifixion. So whether or not you celebrate the rebirth of the earth in spring or are following a religious tradition – eggs are involved. Back in the day, your grandmother may have actually poked a hole in the eggs, blown out the inside and carefully decorated them. Uh, have we mentioned how fragile eggs are? Therefore most egg dyers BOIL the eggs first and then proceed with their preferred method of dyeing. Gold Leaf – remember the story about the goose that laid golden eggs? Well, you can make your own with this technique from little inspiration. 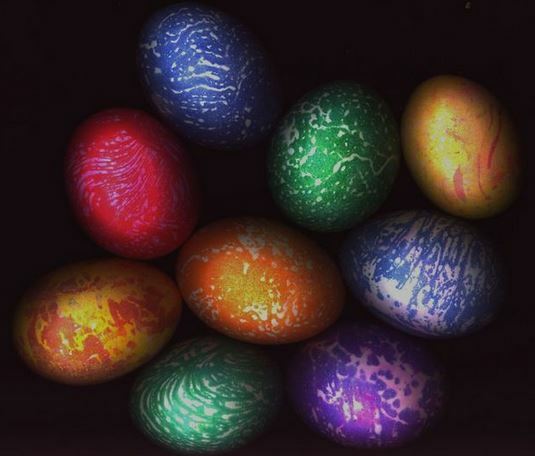 If you’ve got a teenager who might be ‘too cool’ to join in the family fun, these groovy eggs look like they’ve been tie dyed- Psusie’s Psychedelic Eggs from Instructables. You’ll never believe what causes the swirled effect on the eggs. 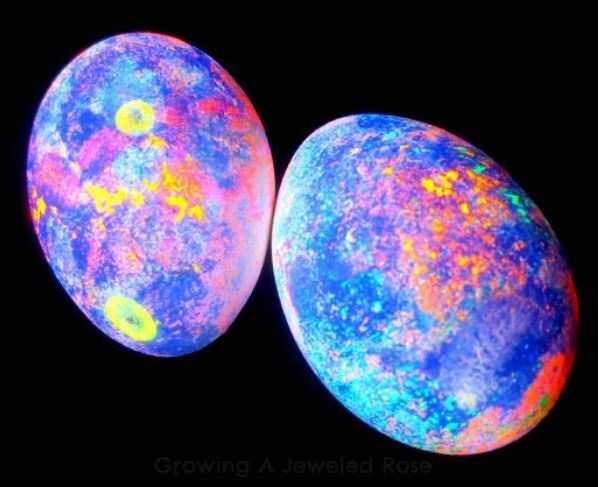 Glow Eggs from Growing a Jeweled Rose are another way cool technique to switch things up a bit. 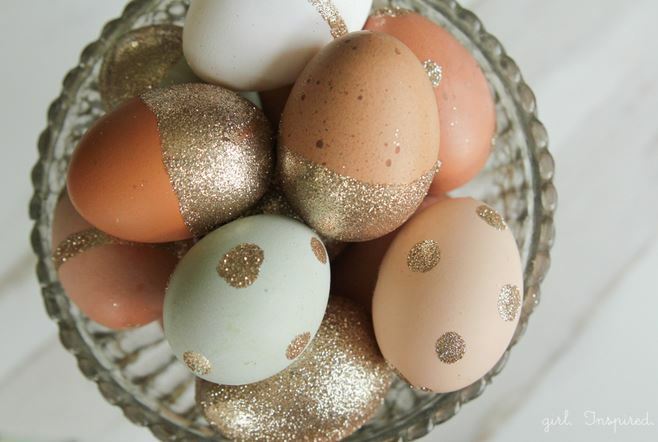 If you like playing around with glitter, these Glitter Eggs from girl. Inspired are for you. You can use any color. Dab glue onto eggs to make polka dots or paint stripes on your eggs. Dyeing eggs with little ones can get a bit messy. 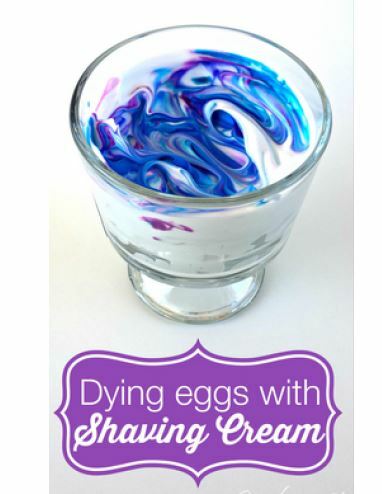 Using shaving cream to dye your eggs, as demonstrated by Katie’s Crochet Goodies and Crafts, looks a lot less messy. We just LOVE A Mountain Hearth’s naturally dyed eggs. Steeping herbs, spices, vegetables, fruits and onion skins overnight yields the most beautifully dyed eggs. No chemicals. All natural. Safe for kids! The key to this technique is patience. Let us know if you tried any of these or leave a comment below with your favorite egg dyeing technique.